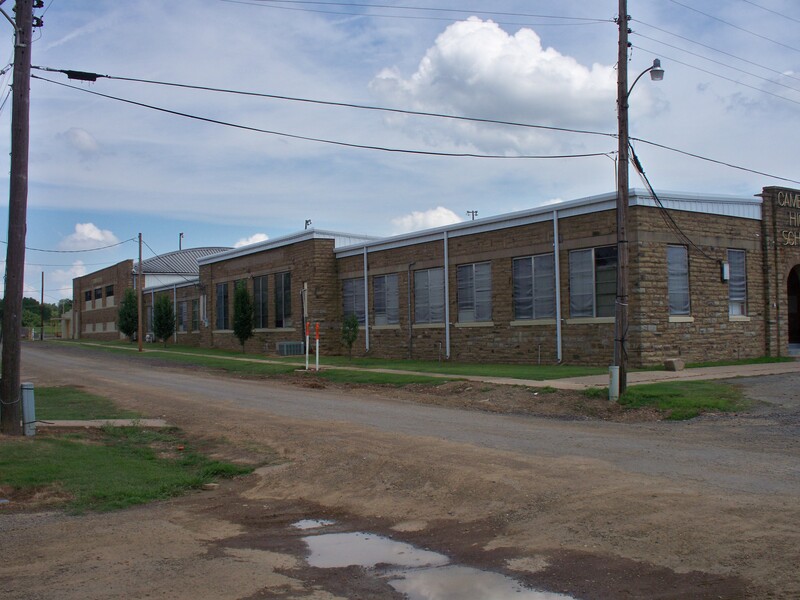 A building of at least eight classrooms, the Cameron high school and gymnasium is a single story, essentially rectangular (17 5′ x 66′) structure with offsets constructed of rusticated and coursed native sandstone. 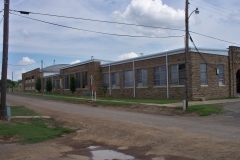 Built as an addition to an older brick building, it has a flat roof with parapets except over the gym where the roof is arched. The main entryway, decorated with pilasters and an arch, is recessed. With concrete sills and continuous concrete lintels, the windows rise to the level of interior ceilings and are placed by twos. A faint allusion to art deco style is apparent. 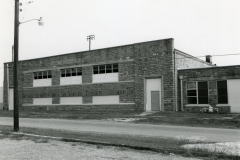 Concret block additons have been attached to the west and north sides of the gym, while window and door openings on the south side of the gym have been filled or reduced in size by concrete blocks. Although these alterations do visually impair the architectural integrity of the gym, the school room section is not at all affected. 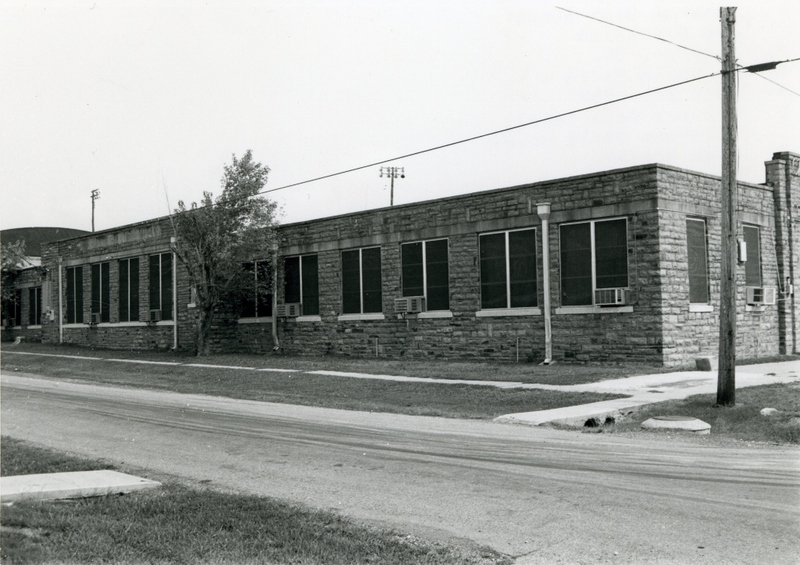 As a rural WPA school building, the structure is remarkable for its scale. To the Cameron community it is unique because of its allusion to art deco style, because of the materials used, and because of the nature of the workmanship. 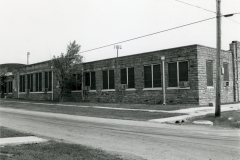 It is also significant in that construction of the building provided work opportunities for unskilled laborers long on the relief rolls, affording them some economic security and self respect. 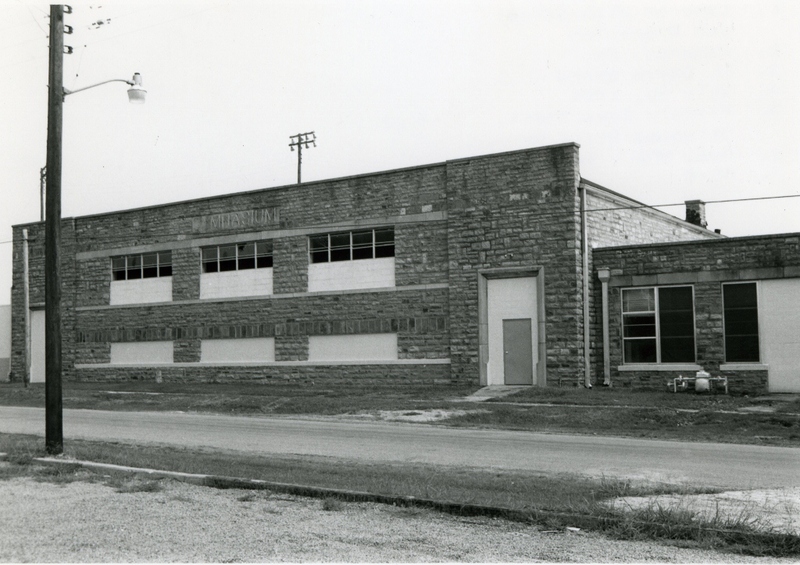 Education was enhanced by virtue of the improved physical plant, and the gym became the focus of community pride-a winning basketball team.